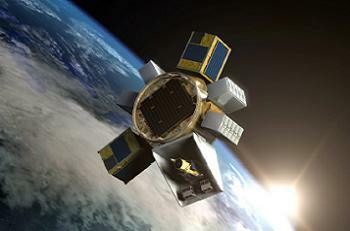 The US Air Force’s Kestrel Eye 1 Tactical Imaging Spacecraft spacecraft will head uphill in 2013 as a secondary payload on a commercial Falcon 9 launch. Technically classed as a nanosatellite, the spacecraft will be hosted on the Spaceflight Secondary Payload System (SSPS), as part of SpaceX and Spaceflight’s Launch Services Agreement (LSA). Thursday’s announcement follows contract signing between the USAF’s Space Development and Test Directorate and Spaceflight to evaluate commercial launch options for, and potentially conduct commercial launch and orbit insertion operations of, the STP Satellite-3 (STPSat-3) and Kestrel Eye Tactical Imaging Spacecraft (Kestrel Eye) spacecraft. The LSA between SpaceX and Spaceflight ranges back to when the two companies first signed a memorandum of understanding in 2010 to manifest secondary payloads on upcoming Falcon 9 flights. The LSA framework allows Spaceflight to manifest payloads on any Falcon vehicle designated by SpaceX as having excess capacity. After the conclusion of the feasibility study, the Space Development and Test Directorate exercised a contract option to procure commercial launch services for the Kestrel Eye 1 spacecraft. “We are extremely honored that the USAF Space Development and Test Directorate has selected Spaceflight for this watershed moment in the evolution of secondary payload acceptance,” said Jason Andrews, President and CEO of Spaceflight Inc.
Kestrel Eye, as the name suggests, is a surveillance spacecraft, equipped with a 10” telescope and camera, capable of providing images – in the jpeg format – to allied troops on the ground. To meet the Kestrel Eye 1 mission requirements, Spaceflight will use its Spaceflight Secondary Payload System (SSPS) – a standardized integrated system for the transport of small payloads and CubeSats to orbit. The SSPS uses a custom ring, manufactured by Moog CSA Engineering, and a series of shelves and adapters to accommodate secondary payloads on their ride to space. The ring is similar to the Evolved Expendable Launch Vehicle Secondary Payload Adapter (ESPA) ring. 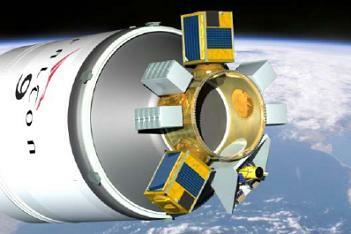 Spaceflight will develop a custom shelf to carry the Kestrel Eye spacecraft in a standard vertical launch orientation. The SSPS also features a standalone avionics and power system dedicated to monitoring the secondary payloads, initiating their deployment and relaying video and telemetry of their separation to a ground station. It is not yet clear which Falcon 9 mission will host Kestrel Eye 1, with SpaceX currently manifesting three commercial missions in 2013 – two from Cape Canaveral, and third from Vandenberg. Spaceflight has been working with its sister company, Andrews Space (Andrews), since 2010 to develop the SSPS and SHERPA family to meet its business requirements. Andrews will fabricate the SSPS and SHERPA at its recently expanded facility in Tukwila, WA. The other system – the SHERPA in-space tug – is dedicated to hosting and deploying small and secondary payloads via a three-axis stabilized platform with over 400 meters per second of on-orbit maneuvering capability, can also provide over 100 Watts of electrical lifeblood to hosted or secondary payloads and can be upgraded to meet specific customer power, propulsion and pointing requirements. 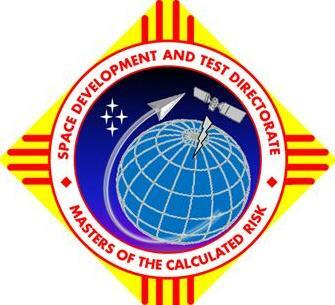 Spaceflight’s first demonstration mission of SHERPA will occur in early 2014, with the first commercial mission scheduled for late 2014. Both missions will be carried to sun synchronous orbits on SpaceX Falcon 9 rockets. (Images via Spaceflight Inc. US Air Force).